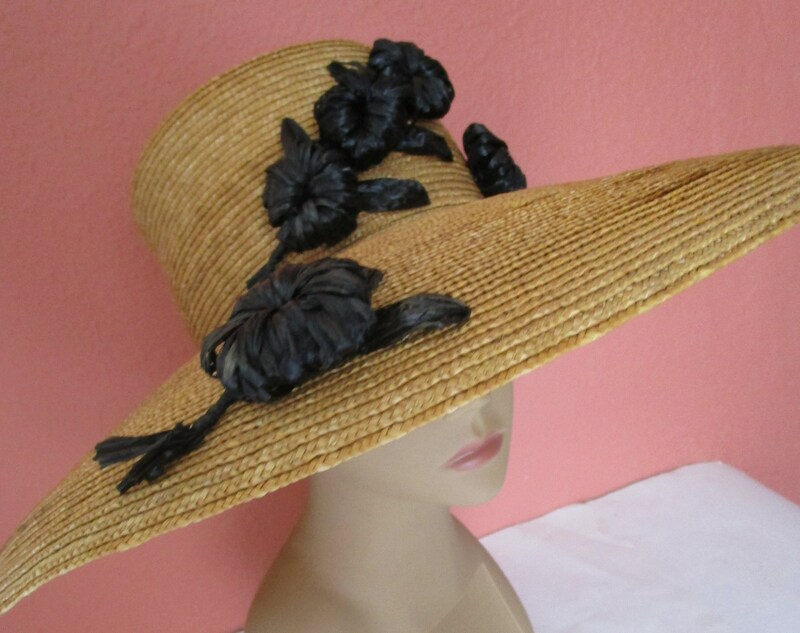 Party pool beach raffia flower wide brim sun hat. Thick rigid rustic natural wheat beige straw with some variation in color. 6 crafty hand stitched black raffia flowers. 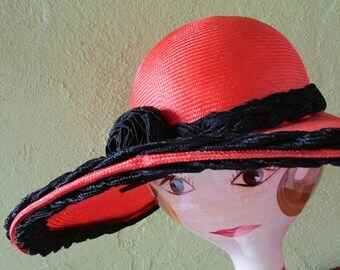 Tall flat crown with wide slightly turned down brim. Elastic band inside added to secure. Condition: Very good vintage condition, Stitches inside band added to cup the band slightly, some removed, some remain, slight misshape. "striped" color variation is in the straw as made. See photos. Size: Sits up slightly on head. Measures 21-1/2" inside grosgrain ribbon circumference, 19" inside diameter side to side, 6-3/4" front brim, 4-1/2" tall crown height.